The Bank of Ghana has directed banks to classify loans on their books owed by Bulk Distributor Companies, as efforts on the part of government to repay the debts had waned significantly. According to Mr Phillip Owiredu, Executive Director of CAL Bank Limited, the central bank, after its Asset Quality review, had directed banks to classify the BDC loans and make provisions for them. He gave the directive at a presentation during the second edition of the ‘Facts behind the Figures’ session, organised by the Ghana Stock Exchange, in Accra on Wednesday. “Unfortunately the central bank says that they don’t see much efforts being put into this by government, so they think banks would have to start making provisions,” he stated. This means Non-Performing Loans (NPL) ratio in the banking sector, which currently stands at an average of 17.7 per cent, will likely increase in the second quarter of 2017. He noted that worsening NPL ratios remained a challenge facing the banking sector and was further constrained by the stall in the arrangements for the payments BDC loans to the banks. The programme instituted by government to repay loans owed by BDCs on the books of banks. The claims were estimated at about at $513 million as at the first half of 2015. After validation, government agreed to pay of $383 million of the debt, leaving banks to provide for and write-off the outstanding debt. CAL Bank, according to Mr Owiredu, had analysed the whole BDC Book and decided to provide for it and then wrote it off last year while the remaining, upon discussions seemed recoverable. This, he said, was done on the assumption that government would make the payments it had agreed to make and then conclude discussions for the payment of the outstanding amount but payments had so far halted. “Out of the $383 million that government said they were going to pay last year, about 200 million was paid by the Central Bank by issuing bonds for five years. “Of the balance left, government made two payments after which no other payment has been made” he explained. He said the bank would heed the Central Bank’s directives as they would be penalised, if the directive was flouted. He said discussions would continue with government to reach a consensus on how the payments would be carried out going forward. Mr Owiredu said there was supposed to be a meeting today between the Ministry of Finance, the Ghana Association of Bankers and the Chamber of Bulk Oil Distributors on the issue. “We hope that after this meeting something positive will come out so that we will be able to have a clear path forward,” he said. Commenting on the Bank’s performance for 2016 and the first quarter of 2017, he observed that while performance in 2017 was expected to increase from 2016 figures, the first quarter was not much better as challenges from 2016 was not completely over. 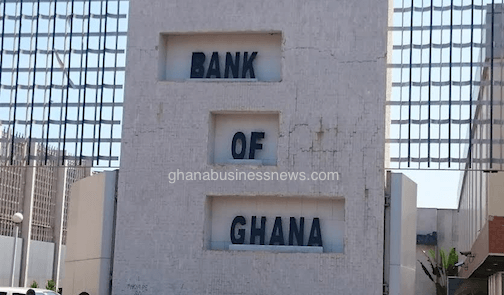 The bank’s profit before tax for the 2016 financial year plummeted to GH¢17,051 in 2016, from GH¢221,308 in 2015 and profit after tax of GH¢166,238 in the 2015 to GH¢10,208 in 2016; a loss of 93.9 per cent. He attributed the challenges faced by the bank in 2016 to include worsened BDC sector impairments, specific commerce sector loan impairments and tight market liquidity, which led to high interest costs to lower interest income. For first quarter 2017, profit after tax decreased marginally by 22.3 per cent year-on-year due to the relatively high provisioning made in the quarter while net interest income declined by 3.2 per cent y/y attributable to higher costs of funds.